Spawned shortly after co-founder Issac Lay and his wife began using their iPhone to take photos of their newborn, PostalPix is an app that allows users to upload photos from their devices and have the prints sent by mail to their homes. Lay and his wife were shooting endlessly as any new parent would although they realized a true value was lost in not having prints to look at and hold. PostalPix is a useful app considering how many of us are shooting away with our devices. Who doesn’t want prints sent to our homes of what we’re shooting? As cofounder, can you tell us how you connected with Isaac Lay and why the two of you felt that your business partnership was right to give PostalPix a go? Isaac came up with the concept for PostalPix shortly after the birth of his first son. He and his wife were taking hundreds of photos of their new baby, almost exclusively on their iPhones. This led to a dilemma: How the do we get real prints of these images for our family and ourselves? Emailing them just didn’t feel personal enough. It literally took them hours to figure out how to transfer the photos to a computer, then send them to a local printer (not to mention the time to drive and pick up the prints). Isaac realized this process was a major inconvenience, and decided there was an opportunity for a solution like PostalPix. He recruited me along with our other co-founder Joel Vanderhoof to join the founding team, and the rest is history. We had worked together on a previous venture and Isaac felt my online marketing experience would be instrumental to launching the service. What’s the startup culture like in Los Angeles and what have been the particular advantages of launching in Los Angeles? The LA startup scene, especially in the Santa Monica and Venice areas, is exploding. Accelerators are popping up everywhere, more angels and VCs are setting up shop, and the community is really thriving. It’s a more collaborative feel here than anywhere else I’ve experienced. People want to help each other out because we’re proud to see LA startups succeed. There’s also a strong focus on generating revenue from day one. This could be because LA was/is the home of many of the original ecommerce pioneers – Shopzilla, LegalZoom, etc. This has sparked an interest in subscription ecommerce in the area as well. I think Shoedazzle an LA-based company, was the first breakout success for subscription ecommerce. Our customers are spread throughout the entire US, so launching here wasn’t particularly important. However, one of the benefits of living and operating in LA is that you get a great feel for the mainstream consumer. I can’t think of an area with a more accurate representation of “mainstream” than LA. We have a super diverse population and every city here has a different feel. In terms of the technology and facilities involved in photographic printing, can you tell me how you went about researching and securing what the vision of PostalPix’s demanded at launch? We thought the technology requirements with PostalPix would be simple. You just make an app and find a professional printer, right? Nope. Turns out mobile technology, a new industry, and photographic printing, a mostly antiquated one, don’t pair well. We had to come up with creative solutions for problems that had never been tackled before. It ended up taking about 6 months to plan and develop the initial prototype that we launched in January 2011. Initially, how was PostalPix funded and when securing funding, what challenges or questions did you face from the skeptics? We started with a few thousand dollars from Isaac’s other company, SalonSwipe, and have been completely bootstrapped since then. Our philosophy is to make small iterations frequently, so we usually don’t have single large expenditures. Luckily, people seem to like what we’re offering and our cash flow covers our expenses. As someone offering the print, the object as a result of an image, why do you think your customers still retain that interest instead of just emailing and sharing photos? Holding a photo in your hands evokes a totally different emotion than staring at it on a screen. It feels more permanent and special. Looking at photos all day on computer and phone screens can be mind-numbing. We’re still shocked at the reactions we get on our Facebook page from excited new customers receiving their prints in the mail. 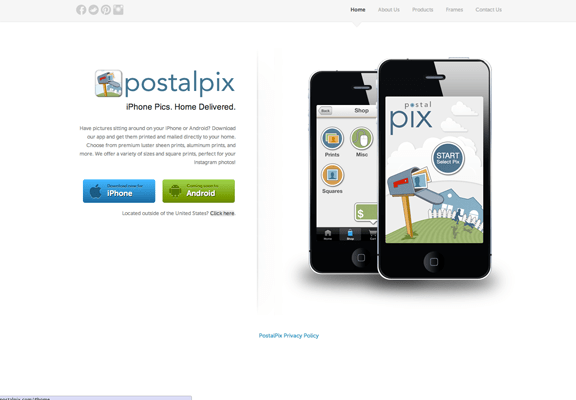 When do you think PostalPix will be available outside of the United States? Don’t know an exact date, but it’s on our radar. We get quite a few international requests. What are the logistics involved in incorporating that into PostalPix? We’d rather set up operations overseas vs. ship from the US. Transit time from here takes too long and is too expensive relative to the purchase price of our products. This presents a problem with different currencies and exchange rates. We’ll figure something out once we’re ready to make the leap internationally though. 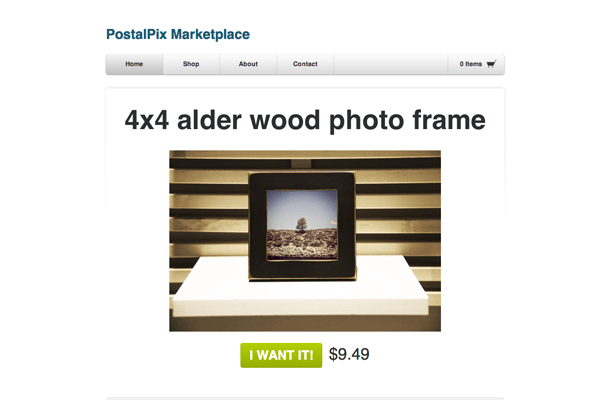 Has PostalPix taken any direction business-wise that was not anticipated at launch? We’ve mostly stuck with the original plan. One exception would be deciding to limit the number of products we offer. We could offer every photo product under the sun, but intentionally do not. This keeps the app clean and simple. What are some of the most important challenges you’ve learned to tackle that have been specific to your experience with PostalPix? Aim to please your customers, but understand there are some that you never will. This was a major challenge for us at first. We would receive all kinds of feature and product requests and get stressed that we couldn’t implement all of them. We eventually came to terms with the fact that it just isn’t possible to offer every product and feature that people want. Once we hear about a certain product or feature enough times that everyone remembers it, we know it’s time to seriously consider implementing it. With your business experience, what advice would you give someone considering launching their own business be it something locally focused or something nationally focused? Provide world class service and your customers will love you through thick and thin. Customers can tell if you truly care about their experience. Also, forget about overnight success stories. This concept is a myth. I think Paul Graham’s startup curve is a more accurate representation of starting a business. The “Trough of Sorrow” will test your dedication and persistence, but everything will be worth it in the end. Even if your business flops, you’ve learned a heck of a lot more than you would have if you hadn’t started the business. This will pay dividends in the future, be it starting another company or elsewhere in your professional (and personal) life. Do you have a particular business philosophy that informs the way you run Postal Pix? Dedicate yourself to providing the best possible experience for your customers, and don’t forget to enjoy the ride. Is there a particular company culture at PostalPix that you believe reflects the company’s vision? We’re an independent, hard-working team that knows how to have fun. 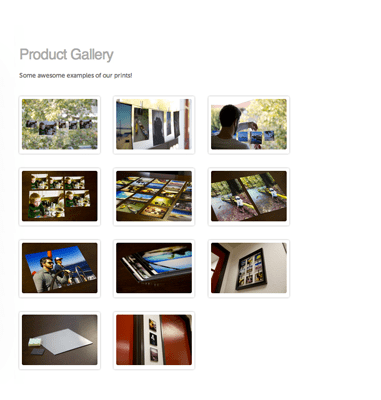 We want to make ordering photographic memories fun, easy, and efficient, so I think this aligns well with our culture.